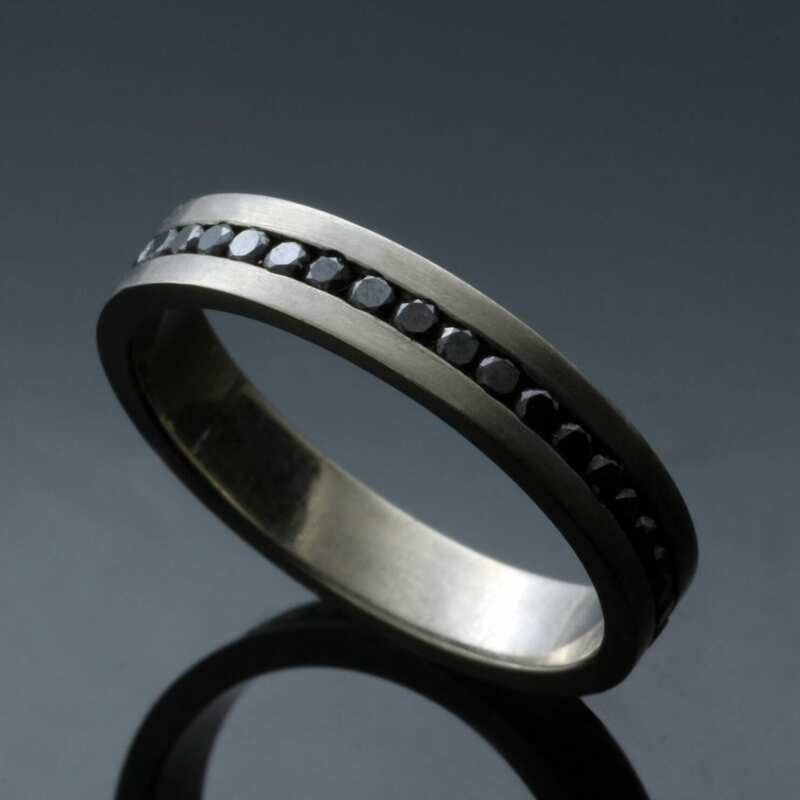 A sleek, contemporary interpretation of the classic Eternity ring, designed and handcrafted by our master Goldsmith Julian Stephens. 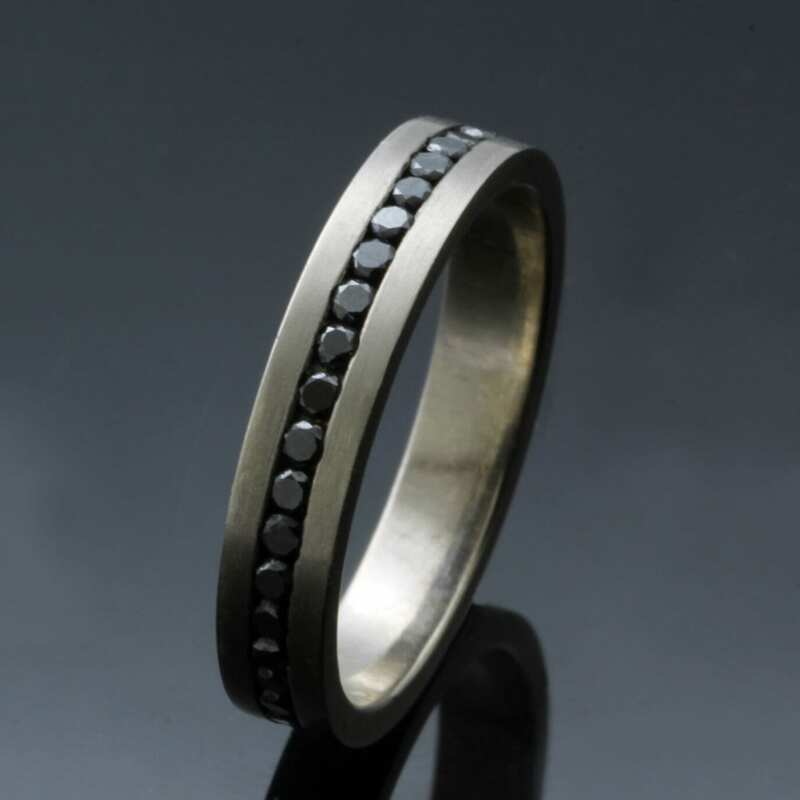 This beautiful and very modern take on the iconic Eternity ring features a chic flat band of solid 18ct White Gold which is adorned with a full band of glittering 1.5 mm Round Brilliant Black Diamonds. These precious gemstones are expertly channel set into the solid White Gold band, the precise band of beautiful Black Diamonds are set precisely in the centre of the white gold band to create a stunning design which will compliment existing engagement and wedding bands when worn as a stack. This sumptuous full Eternity band design is finished with a high polish to the surface of the White Gold, creating a deceptively minimal design that offers a gorgeous and sleek band of opulent sparkles. This beautiful eternity band is crafted from the finest precious materials by our master Goldsmith Julian Stephens, this piece is fully Hallmarked and proudly bears Julian’s exclusive makers mark to indicate its superior quality.